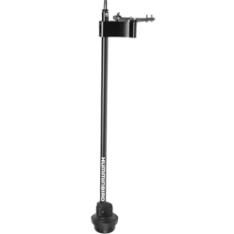 Transducer, 360 Imaging, MFG# 409350-1, for MinnKota Ultrex trolling motors. Includes 8' powercord, 20' Ethernet cable, 3' power adapter, mounting bracket, GPS sensor. Length: 39" Wt: 7 lb. Here's the combination you've been looking for. The MINN KOTA Ultrex has been the new standard in boat control since it's debut at ICAST 2016. Now they've upped their game adding the new super clear and super high definition Humminbird MEGA Down Imaging transducer built in to the unit itself. Now you don't have to fumble with additional wiring when you add you Humminbird SOLIX unit and your new MINN KOTA Ultrex to your boat. Get complete control while being able to clearly see whats below you. It's all about making your life easier on the water. 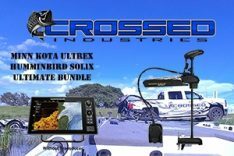 Now is the time to get in on the action with this MINN KOTA and Humminbird SOLIX Ultimate Combo! Message Us HERE to get special pricing! 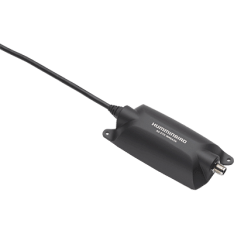 Internal GPS, Basemap (optional Navionics), Ethernet, Bluetooth, NMEA 2000, Optional Radar, AIS, 360 Imaging.